Entitled ‘Extending the efficiency boundary form ports to hubs: A new role for container terminal operators’, the Sea Traffic Management seal test (methodology developed within the MONALISA and STM Validation Projects and sponsored by the European Commission) deals with the concept of efficiency applied to efficiency, safety, and environmentally sustainable sea transport berth-to-berth, in a context built on multiple variables that currently compete to make Shipping a complex, interdependent and increasingly geostrategic ecosystem. 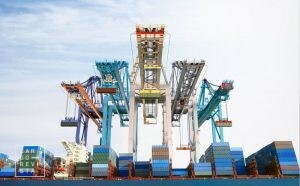 The document, prepared by a team of 19 well-known experts, is part of a set of conceptual notes that has enriched the international maritime-port sector, adding new strategic visions with the aim of contributing to a better understanding of logistics phenomena and a clearer definition of the efficiency processes that integrate the links of supply chains. Defending the primacy of communication, planning, coordination and data sharing, the concept note focuses on the search for efficiency as a key to the development of the terminals. «Aself-organizing ecosystem, such as the shipping industry, still has to coordinate», the note begins. «In general, the tighter the coupling, such as ownership of the terminal serving one shipping line, the higher the potential for a speedy turn-around and optimization of resources. What joint ownership cannot achieve must be realized by coordination and synchronization through data sharing», explains the document. Some 70% of port operations in Europe are associated with short-sea-shipping, which requires transhipment. A port is a (complex) transshipment hub that makes the majority of its profit by storing and forwarding cargo to another port (…) The ultimate goal of a hub is to aggregate sufficient volume at the national and/or regional level to give it economies of scale beyond those potential competitors», can be seen in the concept note in question. Moving in the context of transshipment, it is explained that one of the most basic requirements «of a transhipment center» is the efficient coordination of «intermodal transport links with the hinterland», giving the motto for the practical purpose of the document : « In this note, we explore the role that Port Collaborative Decision Making (PortCDM), as an enabler of Sea Traffic Management (STM), can play in making ports more effective, particularly from the perspective of container terminal operators» . By portraying a situation in which there is «a huge proliferation of container ships with more than 10,000 TEUand, consequently, an (apparent) urgent need for infrastructural and equipment investment by large terminals, the work highlights the visible disparity between ship development and terminal development: «As a consequence, the operational complexity of handling ships of this size is significantly increasing the resources of many terminals», it is inferred, while noting the importance of «the global supply chain and global trade in general». Managing the scale of a 23,000 TEU ship means using more and larger cranes in order to load and unload thousands of TEUs in a few hours. « The main operational bottlenecks within a terminal area are chiefly caused by limited yard productivity and the shortage of yard equipment. Outside the terminal, trucking congestion and slow gate throughput can be influenced by limited road infrastructure; while the lack of on-dock rails can limit high-capacity intermodal activity in many ports», describes the analysis to which Revista Cargo had access. For the team of experts who drafted the document, «From a technology perspective, operational complexity will best be managed through data driven decision making, strongly supported by the wide adoption of the IoT (Internet of Things) and the embedding of predictive and prescriptive AI (Artificial Intelligence) methods. All this calls for the creation of nationwide or often region-wide data sharing among all the interested parties in the various transport ecosystems. This in turn will enhance transparency and data sharing among trucking and rail operators». These efforts demand « the creation of nationwide or often region-wide data sharing among all the interested parties in the various transport ecosystems. This in turn will enhance transparency and data sharing among trucking and rail operators, customs, shippers, and consignees so as to optimize the flow of containers from ports to inland destinations», explain the document. How to guide the investment? The team’s analysis suggests that to maintain status, some ports will need to apply significant efficiency improvements; others may simply give up the big investment they need to stay at the top of the chain, content themselves strategically with a second place in the hierarchy. « Enhanced information sharing, especially regarding the crucial parameter of estimated time of arrival (ETA), is necessary for any optimization effort before a vessel visits a port. 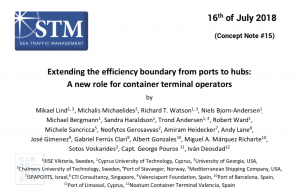 This is absolutely key to all port actors», reads the note: «Terminal operators are dependent upon both ‘internal collaboration’ as well as upon ‘external collaboration’ for the fine-tuning and delivery of optimized services. All too often, there are failures in ensuring that the necessary arrangements are in place during terminal operations at the time that they are needed, because of a lack of data sharing and collaboration between all the involved actors». An example is given below, using the activity at the Port of Stavanger, located in Norway: «a visiting ship is currently charged per 24-hour slot.If better planning and deployment of the required resources and the completion of operations was improved, then the port could charge an hourly rate. This would most likely result in the ship leaving the berth immediately after work had completed».What is the consequence? 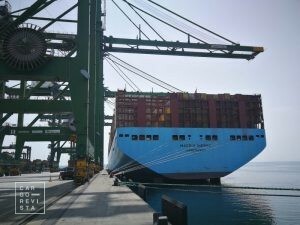 «The number of berth visits possible in the port would increase and the cost for an individual shipping company to make a port call would fall». Why do not ports adopt this solution? Well, because «the reliability in planning is currently too low, due to a lack of dependable and up-to-date information being exchanged between all the involved actors», the document replies. In order to improve this situation, it is necessary for vessels, ports (departure and destination), hinterland operators and port operators to disseminate and share information about their schedules, progress and capabilities – «This is exactly where the concept of Port Collaborative Decision Making (PortCDM) can help». 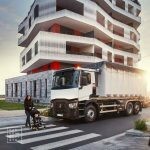 «Efficiency and environmental sustainability are reinforced by PortCDM. PortCDM is an organizational concept, not a product, aimed at enabling more predictable timings and operations in sea transport by building on unified and standardized data exchange among all actors», describes the paper, which focus on the «need to ensure the continuous flow of intentions, outcomes, and possible disruptions (…)so as to arrive at a high degree of predictability in the planning and subsequent execution of all operations and activities». Inefficient equipment handling (e.g., cranes & gangs). Unforeseen problems occur within a terminal such as faults or damage to cranes and other machinery that can cause a slowdown of container handling operations and prevent fast delivery to hinterland transport agents. Reduced availability of human resources for serving a ship. Reduced or excess berth availability creating difficulties for terminal operators especially when there are situations such as the simultaneous arrival of multiple vessels. Reduced transparency or visibility of important planning data among key stakeholders. A terminal berth planner, as part of their daily job, has to communicate several times throughout the day with the shipping agents, as well as with the other port actors, such as tug boats, pilots and mooring services. Lack of coordination and synchronization, not only with the shipping companies/vessels, but also with the hinterland operators and most importantly with other stakeholders within the port. One main reason for this is that communication between terminals and other port call actors (agents, service providers, traffic control, pilots, etc.) is often still performed in a very basic way by point-2-point communication using telephone or email, due to their lack of better tools and/or common operational procedures. Missing information. ETAs and ETDs are often missing or not properly updated in the Port Community System (PCS). Moreover, important documentation for a vessel (such as type of cargo and vessel type, length, beam, call sign and MMSI) is often wrong or not provided, which means the berth planner has to prepare without the necessary information for allocating a vessel to an appropriate berth with the necessary equipment and resources for loading or unloading. By providing information on which cargo needs to be loaded onto a ship ahead of time, the cargo operation estimates can become more accurate. Narrow time windows. Another factor that can create problems for terminals is when time windows (the assigned time slots available for the ships to arrive at the port) are short. This is usually a condition observed in smaller ports with a single-entry point. It is a particularly challenging condition for the terminal operators at ports serving ships coming from close neighbouring ports only a few hours away of steaming. This leaves very little time for responding and dealing with unexpected situations (see Concept Note #5 on Short Sea Shipping). Some respondents argue that that port-2-port communication is most essential to provide a viable solution to improving this situation. Confidentiality concerns. The open sharing of data belonging to terminal customers might be difficult due to the reluctance of agents to share their data with competitors. Usually, there are strict rules in place regarding data confidentiality coming from the top management of the various companies. Data that could be used to infer the terminal’s productivity (such as, waiting times) might assist potential competitors in nearby ports. For example, as was reported from the port of Limassol: “If we provide how much time it takes for us to serve a ship and a shipowner learns about it and compares it with another terminal in a nearby port (for example Ashdod) they may prefer to go there as the service might be faster”. It is important to note here, however, that these privacy concerns do not apply for sharing non-sensitive data among particular port actors, if sufficient evidence is first provided that assures that the data will stay among the specific port actors». To carry out the ideal scale, the actors involved in the arrival and departure of a ship need to be informed – in a precise way – about ETAs and ETDin real time – This allows a «common situational awareness» of the plans of the main moments and events to be shared among stakeholders. «It is very important that all this critical information is aggregated in a standardized form and accessible from one place/system – for example, through the PortCDM data sharing platform», something relevant «especially where multiple operators coexist within the port ecosystem (private companies, government, semi-government, etc. ), and where the data exists across various operational systems that are not necessarily interconnected». In order to respond effectively to this challenge, the main actors involved (on arrival and departure of the ship) «need to agree on ways to share critical timestamps – ETA, ETD, ATB and ATUB and to improve real time information exchange, collaboration and communication», concludes the note: «Here the PortCDM plays an important role», showing its capacity to help eliminate congestion in the arrival / departure process. «In this way, it will reduce «the ship turnaround and waiting times and improve port productivity», clarifies the document. The secret to success? «A common understanding among the actors involved» – so simple to describe but yet so complex to obtain. PortCDM is based on the idea that the time and date records used in port operations are «collected, aggregated and shared within a common framework» and made available to stakeholders in multiple other organizations – coordination, communication and complementarities of interests are the pillars of a good organization that must structure the positioning of a terminal against the chain of links in which it is inserted: «a terminal operator cannot act alone», states the article, perfectlysynthesizing the crucial need for cooperative action. 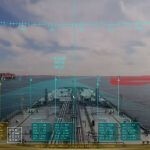 «Such improvements in the exchange of digital data will enable coordination and synchronization and help to optimize port call operations», but success requires other simultaneous efforts, because, as the article states, «this in itself will not necessarily create a port with competitive transshipment capabilities». 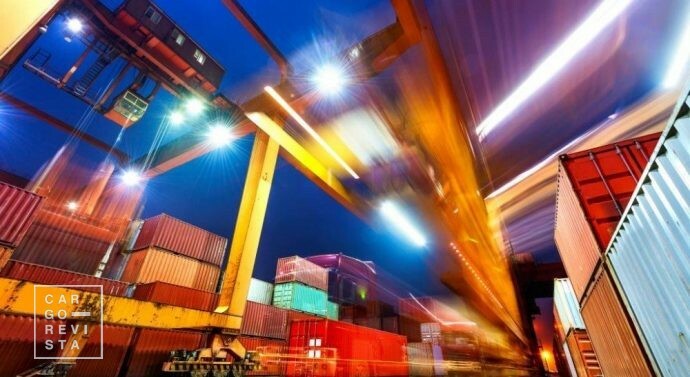 In order to be competitive, terminals need « to invest in software and relationships that enable it to make its customers, shipping lines and hinterland transport businesses, more efficient». 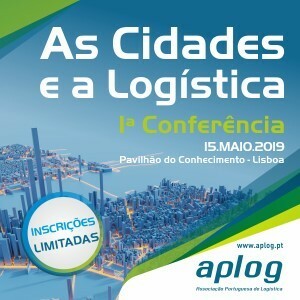 In this context of «dynamic cluster of continually changing alliance and ownership structures», as the paper accurately put it, there is an «opportunity» up for grabs: transshipment terminals should «use digital data sharing to gain a competitive advantage by adopting and extending the PortCDM concept». The brilliance of the concept is its very own essence – by defending the primordial need for cooperation between all links in the chain, the concept reminds us, in a pedagogical way, that the acting synergy must be the first thought of the ports and the terminals. By coordinating information and sharing the data at the right heights, new degrees of efficiency can be achieved. 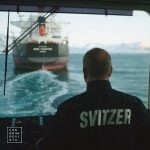 If, a few years ago, such mutual coordination would be impossible, today, using the tools of global digitization, the maritime industry enjoys the ideal context to put such progress into practice. Without underestimating infrastructure investment, the PortCDM concept seems to remind us that what is essential is, first of all, the implementation of a transversal and shared communication based on the potential of the digitization phenomenon – in order to succeed, the terminals need to find their positioning in hierarchical chains and assessing risks and opportunities, but always taking into account open and interdependent communication. Below are the names that make up the team of authors who wrote the document. « Previous Article J. Augusto Felício: "Sustentabilidade e Resiliência Portuária"